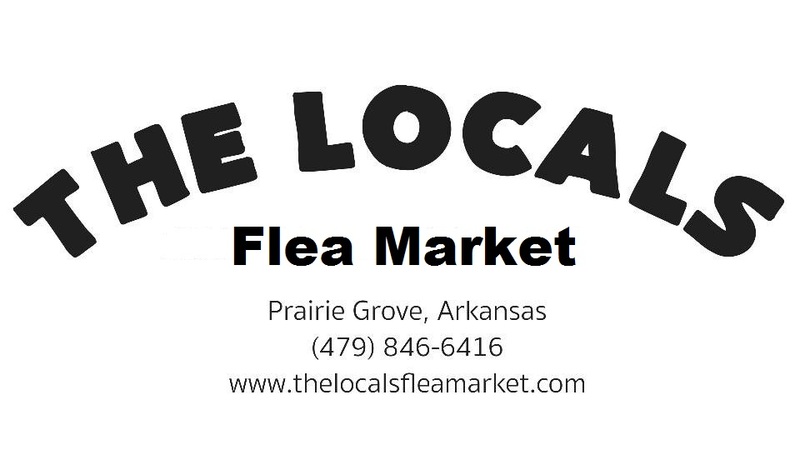 Antiques, Crafts, Retro, Re-purposed, Up-cycled, a bit of everything Flea Market on the Historic downtown main street in Prairie Grove, AR. Just 10 miles south of I-49! Come visit us, we have over 12 stores in town just waiting to be explored and treasures to be found, not to mention all of the places to dine in town! Con Sabor a Mexico, Gaby's Mexican Grill, Frederick's One Stop, Fat Rolls, Sonic, Subway, and More! So Plan to come and spend the day shopping! Don't forget the Battlefield state park, Aquatic water park, Junk Ranch and Clothesline fair! See you at "The Locals"! So Proud to have been chosen to be one of the TOP 10!! !